Dall Int., a powerful digital marketing alliance that encompasses Sleeping Giant Media and agencies across Europe, has welcomed two new agencies to represent Scotland and Berlin, strengthening digital marketing efforts beyond borders. Aarhus, Denmark: This week, Dall Int., the pan European alliance of independent digital marketing agencies, announced that it has inked a deal with another 2 leading agencies to provide local digital marketing expertise in Scotland and the DACH area to international clients. 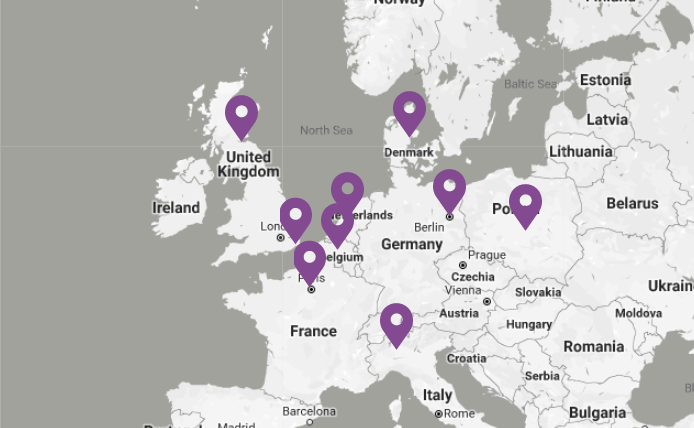 With the addition of Attacat Internet Marketing Ltd. from Edinburgh, Scotland and Peak Ace AG from Berlin, Germany, the alliance further strengthens its European footprint. The Chartered Institute of Marketing’s Agency of the Year 2017, Sleeping Giant Media, represents the United Kingdom within the alliance; which was officially launched in October 2017. Dall Int. is a family of best-in-class, independent digital marketing agencies that offer a more customer and knowledge-centric alternative to the big international media holding groups. The alliance was officially launched in October 2017 by a select group of agencies that belong to the top 3% of Google Premier Partners in EMEA. Dall Int. member agencies share local knowledge and expertise, engage in joint product development and cooperate on international client projects. “We want to ensure international customers best-in-class local expertise provided by trusted, top-performing and visionary digital marketing agencies. Dall Int. is therefore honoured to welcome Attacat Internet Marketing Ltd. and Peak Ace AG to the alliance. Both agencies are very successful in their respective home markets and represent what we believe is the digital agency of tomorrow”, according to Allan Jørgensen, chairman of Dall Int. With the addition of the Attacat and Peak Ace, Dall Int. alliance counts over 460 specialists, nearly 1100 clients and manages over 150 million euro in annual ad spend. Areas of expertise include display and social advertising, organic and paid search, digital analytics and marketing automation in both B2B and B2C industries across Europe. As of today Dall Int. provides local digital marketing expertise and native language proficiency in the Nordics, The Netherlands, United Kingdom, Germany, Belgium, France, Italy and Poland as well as Eastern and Central Europe. “It’s fantastic to see more agencies join the alliance, and encouraging to watch Dall Int. grow from strength to strength. We are delighted to be a part of a group that can provide a fully-rounded service to clients in countries across Europe, especially in uncertain times, and are proud to provide some sort of security to all businesses – no matter their location.”, says Luke Quilter, CEO of Sleeping Giant Media. In an ever more global and digital economy, it becomes increasingly common for businesses to “go digital” and do business across borders. Decelerating the global move, however, is an urgent lack of local and transnational digital marketing expertise. Dall Int., an alliance of independent digital marketing agencies across Europe, aims to help clients succeed in international digital marketing and sales. Dall Int. is a family of best-in-class, independent digital marketing agencies that offer a more customer and knowledge-centric alternative to the big international media holding groups. Dall Int. member agencies belong to the top 3% of Google Premier Partners in EMEA and are all selected independent, award-winning agencies combining a wide range of digital marketing services, local market expertise and native language proficiency. The Dall Int. alliance aims to share “global” knowledge and expertise, engage in joint product development and cooperate on projects for international clients. Together, the founding members of Dall Int. handle over 150 million euro in annual ad spend across approximately 1100 clients. Areas of expertise include display and social advertising, organic and paid search, analytics and marketing automation in both B2B and B2C industries across Europe. As of today Dall Int. provides local digital marketing expertise and native language proficiency in the Nordics, The Netherlands, United Kingdom, Germany, Belgium, France, Italy and Poland as well as Eastern and Central Europe.